Raccoons are common nuisance animals in Jacksonville. They get into attics, eat pet food, poop in the pool, and are very mischievous in general. We think that raccoons are cute, but we know they can cause a lot of problems and damage, so we humanely trap and relocate them, just as we do with all wildlife. I don't know what to do. I am pretty sure we have raccoons in our house. I got up early yesterday morning and went outside a little earlier than the "normal" time I start hearing noises in the a.m. I looked through a grate a the bottom of my house and saw torn a/c duct work and then I spotted a raccoon. I walk to the front wall of my house and just like when we are inside, I could hear it crawling up my wall from behind the brick. We don't hear them in the attic. Only in the wall and in between the first and second floor. So I can't try the bright light or the loud noise tactic. I am so scared they are tearing my house apart and going to make me and my children sick. I live in an 2 story brick house in Jacksonville, Fl. I don't know where you are located. If you are not in the area can you tell me a trustworthy company I can call? There is some company that advertises removing them for free and they they work with your homeowners in dealing with the clean up. Is 5:00 in the morning. I've been up since 4:00 every morning this week listening to them tear my house apart! I am probably cool the outside of my house by the looks of my duct work. We are already financially strapped, I just don't want to get ripped off, I can't afford to! I am afraid that once removed they'll just come back either through the same hole or find a new one in this old house. PS. Does homeowner's insurance cover any of the cost? Homeowner's insurance does not cover the cost of raccoon removal, but it does cover the cost of damage repairs and cleanup, if necessary. 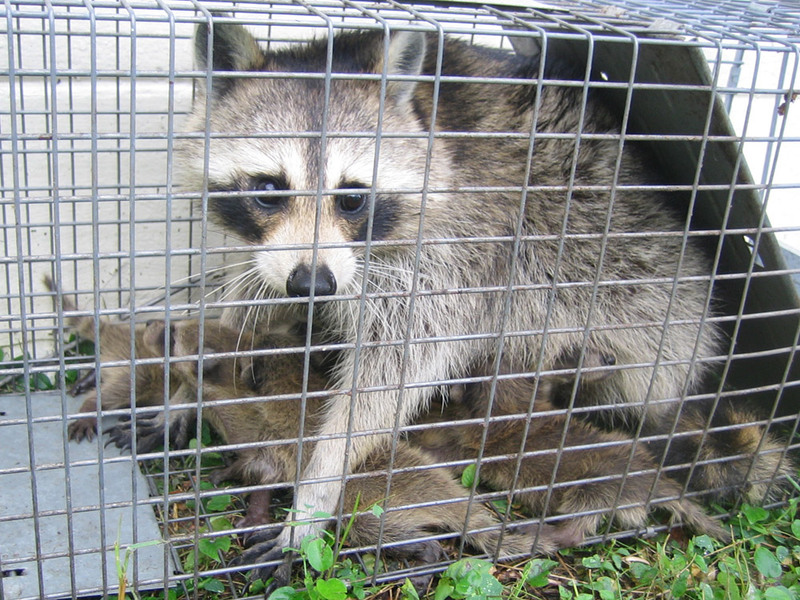 We were able to trap and remove the offending raccoon, and relocate it 10 miles away, and then fix the damage ourselves, at a reasonable cost, and it was not necessary to involve homeowner's insurance.